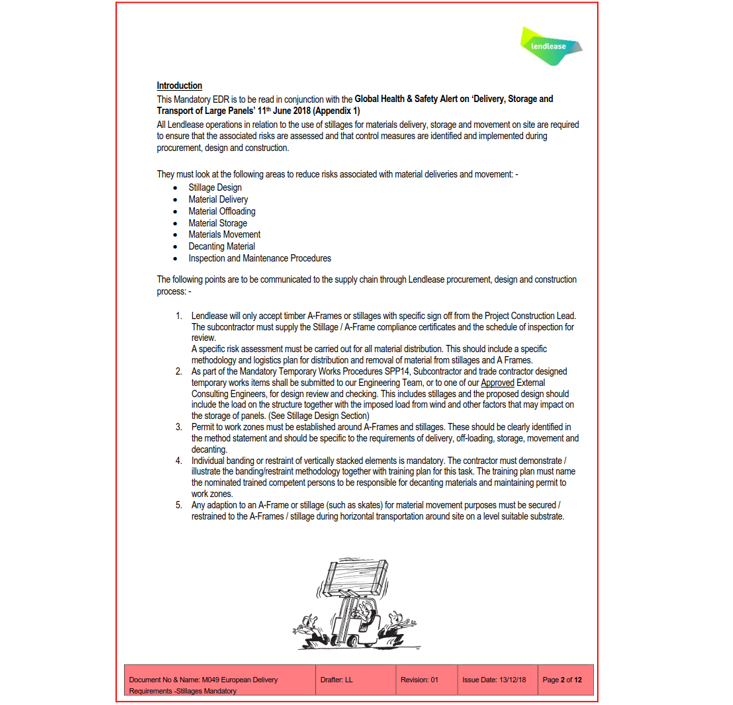 Following some incidents on site involving stillages, a working group was established to develop safe operating procedures for the use of stillages for material delivery, storage and site movements. This involved working closely with the supply chain, our temporary works department, suppliers and workers on site. The supply chain had not experienced this previously with other contractors. The procedures are set out with each subcontractors order and this has resulted in a very positive outcome on site. The feedback received from the supply has also been very positive. The procedures will be shared with other contractors to improve the construction industry as a whole.